Have you ever thought, "There has got to be more to my Christian life?" Normal Christianity has been redefined over the centuries. What began as a vibrant encounter with the Living Christ through the power of the Holy Spirit has often become formulaic and stale. For many Christians today, normal is mundane. Normal is average. Normal is boring. If this is you, then its time for you to get a new normal. Author Michael Kaylor shares his personal testimony of redefining normal and stepping out on supernatural adventure that transformed His relationship with God&hellip; forever. Michael Kaylor is the senior pastor of Rivergate Church in Ft. Lauderdale, Florida as well as international speaker, and author. He is also a team leader and advisory member for Randy Clarks Global Awakening and has been in ministry for forty years. Together with his wife Cherrie, Michael has planted several churches in the United States, and co-labors with pastors across the world including Austria, Germany, Czech Republic, Hungary, Romania, Brazil, Columbia and Africa, to empower the church to bring cultural transformation and revival. 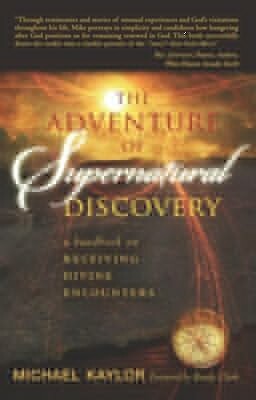 I'm the author/artist and I want to review The Adventures in Supernatural Discovery: A Handbook on Receiving Divine Encounters - eBook.